Last summer I wrote here about a plagiarism scandal involving more than 60 arXiv preprints, more than thirty of which were refereed and published in at least 18 different physics journals, some of them quite prestigious ones (see also the page at Eureka Journal Watch). At the time I wondered what action the journals involved in this scandal would take in response to it. Nearly six months later the answer to this question is now in: essentially none at all. As far as I can tell, almost uniformly the journals involved don’t seem to have a problem at all with being used to publish plagiarized material. Unlike the journals, the arXiv has taken action. It has withdrawn the papers, replaced their abstracts with lists of where they plagiarized from, and put up a web-page explaining all of this. After the scandal became public, one journal, JHEP, did withdraw the one rather egregious example of plagiarism it had published. This was only done after JHEP originally refused to do anything about this when first contacted last March, arguing that since the plagiarized articles were cited in the paper it was all right, and besides, they would only consider doing something if the plagiarized authors filed a formal complaint. Copies of the correspondence about this (and much else) are at this web-site. 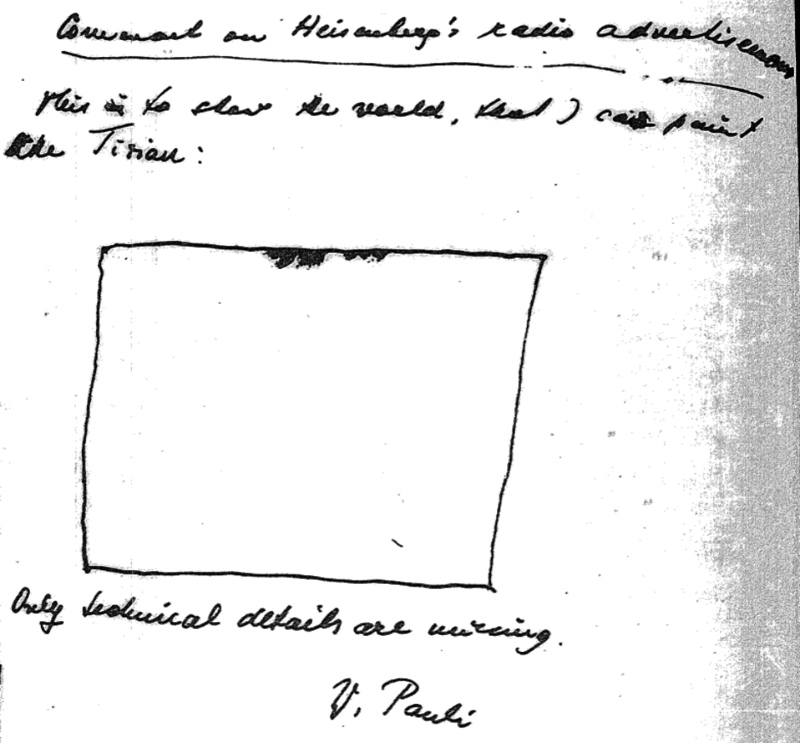 The nature of the plagiarism varied greatly among the papers withdrawn by the arXiv. Sometimes all that was involved was self-plagiarism (large parts of one paper were identical with others submitted by some of the same authors), but mostly what was being plagiarized was the contents of papers by others. Mustafa Salti, a graduate student at METU, had his name on 40 of the withdrawn papers, many of which have been published in well-known journals. I checked a few of the online published journal articles corresponding to the withdrawn papers and, besides the JHEP paper, I didn’t find any others where the online journal article gave any indication that the paper was known to be plagiarized. The author withdraws this article from publication because it copies text, totaling more than half of the article, from the articles listed below. The author apologizes to the authors of these papers and to the publishers whose copyright was violated. The note is clearly quite unacceptable and insufficient in the fight against plagiarism. We cannot help but ask whether the Editors seriously believe that those who cannot compose their own sentences are in fact capable of producing genuine research worthy of publishing in General Relativity and Gravitation. Update: Someone helpfully sent me pdfs of the two GRG articles, marked up to identify the plagiarized passages. Looking at these, I find it hard to understand why any journal would not withdraw such papers if they made the mistake of publishing them. After investigation and at the request of the President of the Middle East Technical University (METU), Ankara, Turkey, the Editors of Astrophysics and Space Science have decided to retract this paper due to extensive plagiarism of work by others. The papers involved are gr-qc/0505079, gr-qc/0602012, gr-qc/0508018, gr-qc/0509022. By “hypothetical” I just meant that you insist on discussing not the documented case at hand, but other issues. The Science case you talk about is different and you are constructing a hypothetical situation in which it is the same, except for the bought/stolen difference. The editors at Science have not had a situation documented, complaints filed with them, and been asked to adjudicate something, the GRG ones have. I don’t believe the situation you describe is exactly the same except for the bought/stolen distinction, but even if it were, so what? What’s at issue here is a specific example of plagiarism, I don’t see the point of arguing about other issues, other than to avoid confronting this one. As for one reason for the outrage, read the comment above from “metin”. You may disagree, but to me another reason is what I see as the ever-decreasing scientific standards in theoretical physics, which have now gotten so low that some people seem to think there’s no reason to sanction even heavily plagiarized papers. I can explain my reasons for wasting my time on this, I really can’t understand yours for spending time defending plagiarism and plagiarists. The one you give that you think my outrage is misdirected and should be redirected at the faculty members who exposed the plagiarism doesn’t make a lot of sense to me. Are you related to Lubos by any chance? The style of argumentation is quite similar. The guy had already discussed his plagiarism in a Nature letter from Oct. 10. (before the GRG editorial and PRD retraction) He never tried to hide it, only to excuse it. I am almost sure that you have not looked at carefully in these papers. In his Nature paper : he admitted to `borrowing beautiful sentences” ONLY in the introductory material. Please check the PRD retraction and see how much he plagiarized. We are discussing something concrete, it is out there, just check it. Anyway, I still have to thank for this discussion: I did learn one more time that some people enter a discussion not to learn and perhaps contribute but simply argue for the hell of it. This is not productive. Please first go and read these papers, and then come back to argue specifically on them. Not on some abstract, irrelevant issues that takes nobody nowhere. Discussion here turned out to fun. Some defend plagiarism and Turkish plagiarists with fuzzy, implicit sayings. promoters of them are doing the same thing. No one defends plagiarism explicitly in front of public. and say that it is not plagiarism. since they have the power. Turkish university system is a deep bog whcih connected to other bogs of Turkey. You see and are talking about only 15 flies which you noticed shitted 70 times in a garden near you. Some say, so what, what happened if they shitted. And they add that this is not a tribute to shitting. I am victim of these Turkish plagiarists and supporters, defenders, protectors, promoters of them for 7 years. Moreover normally any honest Turkish citizen and any honest non-Turkish academician especially who may be competent in international projects (such as EU projects (even comu plagiarism rings (osman demircan and co.) have some such applications) ) with Turkish plagiarists. publishing of arxiv’s Turkish plagiarizes’ plagiarism works ?! Tansu, there is no funding for theoretical HEP anywhere in the world right now so I do not think their fake papers are gonna help the pagiarists a bit to get funding from EU or Tubitak. I do not think writing theoretical HEP papers is a lucrative way to get rich anywhere. I however admit that it may help them to get an academic position in Podunk State University(i.e. rural state universities in Turkey) BUT I want to remind you that writing three dozen papers is not a prerequisite to get that job and they probably would get that position with three papers anyway so why do you think they bothered with this? Besides, as it was pointed out by someone, these are underpaid positions anyway so I do not think these plagiarists are after wealth by any means. If you think you are a high-caliber scientist, why are you competing against these folks at Podunk State Universities? There are elite private universities in major cities which pay european level salaries to qualified scientists. I can assure you that they do not hire plagiarist clowns. Why don’t you try one of them? (iii) It sometimes pays to have a look at the bigger picture before making sweeping generalisations and casting broad denunciations. (iv) My comment was made in good faith. I was certainly not “arguing for the hell of it”. We are all scientists here. Surely we can discuss important matters like this in a civilised manner without having to constantly throw thinly veiled vituperation at each other? Anyway, like amused, I am also going to bow out of this discussion. Enjoy your mudslinging. Moreover normally any honest Turkish citizen and any honest non-Turkish academician especially who may be competent in international projects (such as EU projects (even comu plagiarism rings (osman demircan and co.) have some such applications) ) with Turkish plagiarists should care about plagiarism and the bog which it was originated from. there is noboby who can say any thing for me. I am a victim they took. I will continue to say what I belive. Now that really is quite Lubosian. Are you *sure* you aren’t related? In the Nature letter he doesn’t make any statement to the effect “we only borrowed for the introductory material”. He makes some statements that *suggest* that that was all he did, but that isn’t the same. I also thank for this discussion. It reminded me of one of the reasons I went into physics (besides the obvious one): it is one of the few human endeavors where smug confidence in the quality of your reasoning won’t get you anywhere if it is rubbish. Ok now I really, *really* am done. Goodnight. I must have missed your earlier short comment, but somehow I managed to offend you. I just read it. Sorry, I think it just proves my point. 1)Please, go back and check the papers to see if they always cite or not. 2) No, these are not review papers, thesis etc. Beforehand, if the journals knew the extend of copy-pasting, do you think they would publish these papers ? There are many questions but the story has left origin long ago. This is the first blog I am reading and the first discussion I am involved in. I aint Lubos, I don`t even know the guy and from what I don`t know, I don`t think I even like him 🙂 Hey, it occurred to me I might even be a woman. is really disturbing me. I do not understand why would one defend these papers? What is the reason? Why lower the standards of publication any further ? I have to point out that the phrase “self-plagiarism” is an oxymoron. I do understand the point here, of course, and perhaps people who copy their own work and represent it as being new are, in these cases, exactly the same people who copy the work of others. But nevertheless, I would call the two qualitatively different, and you seem to be debasing the intellectual crime of plagiarism by lumping so-called “self-plagiarism” into the same category. I agree that self-plagiarism is a quite different issue than plagiarism. In all cases here where I was using the term “plagiarism”, I was using it to refer to plagiarism from others. The main problem with the papers at issue is the way in which they plagiarize the work of others. Thank you for your comment. I apologise for my slightly acerbic tone, and sorry if I offended you in turn! I am quite aware that these were research papers, not review papers. I’m not sure I made myself entirely clear – my intent was to attempt to point out that legitimate research can and does borrow/use excessively from that which proceeds it. ie it was not directly related to the papers in question, but a meta-comment. “Standing on the shoulders of giants” etc. But I see that I clearly made a mistake in trying to discuss this here, since evidently this upsets Peter, which on reflection is understandable since a reader skimming this discussion might confuse this observation with a defense of the sort of plagiarism that occurred in the Turkish papers. Anyway, this should be my last comment. And a final apology for my clear ignorance on these matters and my offtopic remarks. I hope everyone here has a splendid day. I don’t know you are, what your background is, and where you are now. One thing is clear that your approach is strange. As I said these you can meet these plagiarists every where not only in theoretical hep domains. For example plagiarist Husnu Baysal approved lot of plagiarized computer enginering msc theses. “Podunk State University” : this naming does not cover the whole view. (to mean very unqualified, even very less qualified than qualified lyceess) is more appropriate for more than 2/3 of the universities (not only state universities but including private universities) in Turkey. Follow the money (+power, +maximum ego satisfaction), you will find the answers. There are competents to take a piece from this underpaid pie. Underpaid : according to international standards not Turkish standards. That much is the highest ratio paid for a physics diploma (and for lots of other diplomas) in Turkey. And other benefits are also generally the highest. Moreover they can be doubled, tripled, quadrapled easily. (~ 4.000 usd to 16.000 usd) . He can not easily gain more than 1.000 ytl anywhere else in Turkey with his diplomas. My story is long. I summerized a few part of it whic is related to arxiv scandal. Almost every Turks know Turkey and Turkish university system spent thousands of high-caliber scientists. That’s why plagiarists are running horses today. I am not competing against these worthless people. I am victim of them. my family lives there, and my family needed me then. I was unaware that much of comu, Turkish university system, and Turkey. When I was awared it was very late. For 7 years I’m under attack. 5 years I struggled to rescue my phd diploma which was illegally blocked by academic and juristocratic mafia. instead of writing tens of scientific papers in my expertise areas. Searching justice against academic mafias and juristocratic mafias in Turkey causes lot of gates, which normally should be open, to close, unfortunately. Unfortunately you can meet plagiarists every uni. in Turkey where they are promoted to president of universities and to higher. Observation, prompted by Tansu K – competence is a threat to the incompetent; when incompetent people obtain positions of power and influence, they will try to close the gates to the competent. This is generally true. It can take a generation or more to repair the damage, if ever. Arun, I agree completely. That’s why I think that rather than obsessing over what editors did about copied text it would be more productive to consider what can be done to encourage and support competent researchers in developing countries who are disadvantaged in systems that reward quantity (of junk, copied or uncopied) or political connections over quality. Ciriolis, my “defence of blatant plagiarism” is merely to say that I find GRG’s response adequate (and yes, brave considering the circumstances). The authors were shamed by having their text copying discussed in an editorial which also stated that it was unacceptable and would not be tolerated in future. You and Peter obviously have more of a lust for retribution than me. Peter, how would you rate the embarrassment and damage to the field caused by the GRG decision compared to that caused by the media spectacle resulting from Smolin’s hyping of the surfing independent physicist and his “theory of everything” (unrefereed and inviable)? Where was your outrage in the latter case? Funny how your reactions always seem to correlate with your interests in these situations — not speaking out against your ally Smolin’s deplorable hyping, but turning on the outrage in a situation where you see a chance to promote your hypothesis about the journal system being “collapsed”. You’re still trying to change the topic from your defense of the indefensible, now to your fanatical hatred for Lee Smolin. In order to “lower the tone” I’ll avoid commenting here on your behavior in the Lisi affair, and just state that I stand behind every word I’ve written about it (the Lisi affair), here and elsewhere. If you make these pronouncements often and vehemently enough they might actually become true. Try it! are you Ellis of GRG , or someone in relation to him ? Turkish comics magazine Leman has given Tulip Awards for years. You can start to give Scientific Tulip Awards to competent lonely scientists whose papers’ abriged versions you promotionally publish in a residual corner if others leave. What is the market value of this ? What is the share of Turkish universities in this market ? What is the risk of threating the ducks on Turkish market and other markets ? Who could have said that the editors of “Social Text” would have the last laugh after all? They must still be laughing. For several years more than five dozen papers full of BS were published by many HEP and gravity journals, including several of the most respected and prestigious ones, which didn’t even notice the hoax. It’s true that plagiarized material is different from made-up nonsense. But it’s also true that social scientists need not know anything about GR, they just trusted Sokal. Here we have the supposed experts swallowing rotten fish in wholesale quantities. Not surprisingly, all the big names that came out at the time to tell how social sciences were in deep trouble now seem to be silent, at least publicly. I tried to reply to the comment you addressed to me, but Woit deleted it. I used to think that this blog was run by a person with integrity, motivated by genuine concern about real problems that exist in the present day hep physics community. But it has become clear that he is just another demagogue, out to ram his own judgements down our throats and with very little interest in engaginging in good faith debate on the issues. Woit sometimes bemoans the fact that so few serious phyicists are willing to participate in discussions here. He puts that down to too many people making “uninformed comments”. Well I think there is another reason, and it has become pretty obvious. “amused ” you are totally missing the point. Your position is completely unethical, and people are quite rightly criticizing you for it. You are condoning actions that cause actual harm, as you surely realize. I agree with Amused that copying background material can be acceptable, so long as adequate references are given and it’s clear to the reader that the background material is not original. In my experience, this just makes it easier to connect an author’s new results with the existing body of work. Especially when their exist different conventions and syles for a particular subject, it is helpful to have a common source of material so that different researchers can all speak the same language. I would wager that in all liklihood those in this thread grandstanding on this topic are not active researchers who publish papers regularly, e.g. Peter Woit. Should we assume you are an active researcher copy-pasting material without even citing ? There is no doubt that “amused” was condoning activities that any reasonable person would call plagiarism. There’s no excuse for dressing it up as something else. And “Eric” I would suggest you stick to non-gambling sources of income. I’m sorry, but stating things vehemently is not by itself sufficient to show them to be true. I’m open to debating this issue, explaining the reasons for my views (which I don’t think are at all unique), and even to changing my mind about them if someone convinces me that they are untenable. But what I encounter most of the time here is not arguments but proclamations. E.g., your comment is just a string of proclamations, with any arguments. It is a classic tactic of demagogy: say something often and vehemently enough and it will become the accepted truth, with dissenters being cowed into silence. You say that I am “condoning actions that cause actual harm, as you surely realize.” Well no I don’t realize that at all. GRG shamed the culprits by discussing their text copying in an editorial, and stated that it was unacceptable and would not be tolerated in future. I happen to think that is a sufficient response and don’t agree at all that it is causing actual harm. We can debate it if you want to. Wow, I can’t believe what I am reading. The reason your comment was deleted was that it did little more than question the professional competence of those physicists at METU who exposed this plagiarism, and sneer about the difficulty of finding any competent Turkish physicists at all. Anyone who reads this exchange here can make up their own mind about who is engaging in demagoguery. The credit physics researchers get for a research article is determined entirely by their results. No one gives a sh*t about their eloquent introductions and background material. They get absolutely no credit for it. Like I said before, stealing is always wrong, but stealing wrapping paper to wrap a potentially valuable object is surely a less grevious offence than stealing the object itself. Now you’re all going to shout at me again that I’m “defending plagiarism”, right? That is an outright lie. Once again you are misrepresenting what I wrote to serve your own agenda. I am not shouting (not even metaphorically) but yes, you are defending plagiarism. To my mind, that’s like saying I am “defending murder” if I say that a drunk driver who kills a pedestrian has committed a less grievious offence than someone who kills in cold blood. Here is the deleted comment from amused. People can judge for themselves whether I was right to delete it or have “lied” in my characterization of it. But please, discussing it has nothing to do with the topic of this posting: plagiarism and its toleration by journals, please stick to that here. If you want to insult me as a demagogic liar or praise me as a fearless defender of high standards of ethics, you can do so by e-mail, not in this discussion section. What you’re doing is defending as brave and admirable the decision not to sanction, in your analogy, a drunk driver who has killed a pedestrian. This is why it is accurate to say that you are defending plagiarists and their plagiarism. It’s also why most people think you are defending something indefensible. Socially unacceptable behavior can be characterized in degrees. That isn’t the point. At most accredited schools and universities, any student who has been found to copy published material is (and should be, in my opinion) in serious jeopardy of being expelled. If this activity is unacceptable in our classes, shouldn’t it be utterly unacceptable in our journals? Woit, you are just unbelievable. The GRG editorial decared the text copying to be unacceptable. I agreed with the GRG editorial. So no, it is *not* analogous to sanctioning the drunk driver, it is analogous to saying that he/she should get a lesser punishment than the person who kills in cold blood. I am *not* trying to say that plagiarism is ever acceptable. But I think it is appropriate to treat different kinds of plagiarism differently. When a physics researcher copies background text it is unacceptable, but at the same time a much less grievous offence that plagiarising research results. I can’t believe we are disagreeing about this. As for my previously deleted comment that Woit misrepresents as deriding Turkish scientists: No that was not how it was intended. I decided to respond sincerely to show up the leering sarcasm of the person I was responding to. I know absolutely nothing about Turkish science or scientists, except that the plagiarists in this case seem to be lousy ones. I think it would be a genuinely good idea to show some recognition to good Turkish scientists in the present situation. The obvious place to start when looking for them would be the people who exposed this scandal. Also, that commenter had been insinuating in many posts that Turkish academia is corrupt to the bone, so drawing his attention to the fact that it was Turkish scientists who exposed this plagiarism is a way of confronting him with reality. Having said that, I do find it strange that Salti & co were able to put out 1-2 papers a month for 2 years before anyone got suspicious and looked into it. If grad students had been doing that at any of the uni’s i’ve been at I’m sure people would have been onto it much sooner. When grad students start doing this kind of thing it reflects badly on the environment and values in a department, something which surely all faculty share responsibility for. I think there should be a distinction made between paraphrasing someone elses work while giving a reference and whole-sale copying without any reference. The first is definitely not plagiarism, while the second case is clearly unacceptable. However, from the narrow arguments of Peter et. al., even copying the LaTeX for a formula or table from another paper is plagiarism. Adding to my previous reply: Yes, it is a perfectly reasonable opinion that activity that isn’t aceptable in classes should also not be acceptable in journals. I wouldn’t say that you or anyone else who held that view was wrong. At the same time, I think the GRG editors’ view — that the paper may remain in the journal because its results are all new, but that the authors are shamed by having their copying pointed out in an editorial, which states it is unacceptable — is also a defensible position. I just don’t think there is only one “right thing” to do in this situation. The GRG editors handled it one way, the PRD editors another way, and both were completely reasonable in my opinion. In any case, questioning whether the people who exposed this plagiarism are professionally competent seems to me to be a highly inappropriate diversion from the issue of what to do about the plagiarists. I think I was correct to delete your comment, and will delete any further attempts to turn this into a discussion of the competence of the people responsible for bringing the plagiarism to the attention of the arXiv and the journals. There’s a standard, minimal, conventional and appropriate sanction for plagiarism: withdrawal of the paper. At most institutions, the sanction for this kind of plagiarism is actually much more severe than this, often including dismissal from one’s academic position. In this case, one can reasonably argue about how the institutions involved should sanction the authors caught plagiarizing, but I don’t think there is any reasonable argument for not withdrawing the papers, and requiring the authors to resubmit them in unplagiarized form. The arXiv, PRD, JHEP and Astrophysics and Space Science editors decided this was serious plagiarism and took the appropriate action, the GRG editors decided instead to defend the publication of the papers, despite their heavily plagiarized nature and not to even put any note on the papers that they consist largely of plagiarism. You consider this brave behavior and forceful criticism of it to be demagoguery, I think most scientists strongly disagree with you about this. Right now, anyone who looks up these papers in GRG will find no indication that they are looking at a heavily plagiarized document. If they happen to run across the GRG editorial (not so easy to find…), they’ll get the impression that there was a small amount of irrelevant plagiarism in these papers. The only way they are likely to know that the plagiarism was serious and extensive is if they look up the arXiv version and see the withdrawal statement there. Journals are supposed to be more reliable sources of information, with higher standards than a preprint server, but quite the opposite is true in this case. I’ve not entered into the issue of deciding how much copying has to go on before something is sanctionable plagiarism. Obviously there are grey areas. What I have said, and stand behind, is that if you look at the marked-up pdfs of the two GRG papers, they are undeniably examples of extensive plagiarism, of a sort that should not exist in an academic journal. Any journal that makes the mistake of publishing something this heavily plagiarized should withdraw it, not leave it on-line with no indication it is plagiarized material. GRG did also publish some papers of the Bogdanovs. After it came out, that their papers were simply a joke, GRG did not withdraw even these strange papers. At this time, one of the editors of GRG, Nicolai, gave an interview in the german magazine “Die Zeit” in which he stated, that if these papers would have appeared on his desk, he would have rejected them. He said that he would try to improve the standards of GRG. Seems that he failed, or that GRG is such a problematic journal, that it cannot defend itself from garbage. scary.. The Bogdanov papers were not published in GRG. One was published in Classical and Quantum Gravity, which is what you are thinking of. That journal did not withdraw the Bogdanov paper. said that the journal editorial board had determined that the paper should not have been published, but decided not to withdraw it. deleted the language about the editorial board having determined that the paper should not have been published, and reads purely as a defense of publication of the paper. Peter, Thanks, sorry, I confused class quant grav with gen rel grav. I regret making that “wonderful METU faculty members” comment. While the length of time it took for the situation to get noticed and looked into there does seem strange, I don’t know anything about the goings on and so shouldn’t have made that comment. I agree with your criticism about GRG not mentioning the situation about these papers on their (the papers) websites. They should definitely add a note about it with a link to the editorial. As for the rest of GRG’s handling of this, I can’t really say anything more than what I’ve said already. The authors have been shamed, the text copying was declared unacceptable, and intolerable in the future… to me that seems sufficient. You suggested the authors should have to rewrite the papers in their own words — sure, I wouldn’t object to that, just don’t see what it would achieve that hasn’t been achieved already (apart from giving them some extra punishment and English practice). About demagoguery (also spelt more efficiently but still legitimately as demagogy): that wasn’t directed at your criticism of GRG but at the way you were responding to my comments. When you and others challenged my views I always responded with detailed step-by-step responses to your points. It would have been nice to get something similar in return. Instead I got misrepresentations of what I had said (for strawman arguments) and ex cathedra proclamations that I was a “defender of plagiarism” etc. Ok, I know that you are busy and have other things to do (so do I). But that kind of response comes across as you wanting to ram your judgement down our throats rather than engage in a discussion in good faith. you’re defending plagiarism and unethical behaviours. Your style is clanic. Strange. Probably I know who you are. Normally your approach is unacceptable especialy for who holds positions like yours. I am trying to understand your role in this game. Let us assume part 1 is true. Why don’t you and GRG defend this in part 2 then ? Let us assume part 2 is true. Why do you and GRG defend this in part 1 then ? You are falsifying part 1 in part 2 and vice versa. let’s not apply the rules for them. In Turkish there is an idiom for this : belly dancing. Future ? Which one ? 100 years later ? 1000 years later ? ones who don’t need to be defended by you and GRG ? Why does GRG accept things now which it declares will be unacceptable in an unknown future ? Harm for what or who ? This is the general view of lots Turkish academicians, juristocrats, etc even at top positions. This is very ordinary in Turkey. But GRG is not in Turkey, and it’s not Turkish. This is not generally valid for Turkish system which is based on partizanship. I couldn’t find an image of Leman’s Tulip Awards. Anyone see it guesses whom it is given for what 🙂 . Showing lonely competent scientists as candidates for it was an irony. Language game. Greetings to Wittgenstein. Cambrigde etc of amused’s island. everything can be alright for METU. and Turkey. They covered hundreds of plagiarism cases. was a faculty of METU physics dept., so was comu’s vice president and 2nd head of comu plagiarism ring. the other 13’s cases are trying to be covered. if METU plagiarists were faculties, deans, etc. mentioned METU equip consists of very qualified scientists. But there are lots of lonely (or unpartizan) qualified scientist in Turkey which have not much chance to progress if support to plaiarists and other unqualifieds continues. giving candies to good boys to make them forget their pies. behind supporting plagiarism in a developing country ? What would be the trend of the discussion here then ? Tansu, METU is NOT MIT of Turkey. It is not anywhere close to it. In the recent top 500 universities of the world listing of The Times, there were 5 turkish universities AND METU was not in that list. You should realize you are not the only one who has PhD in this forum so you should try to provide accurate information if at all possible. Plus, like I suggested to you before, you should try your chances in other high-caliber universities if you think you are really such a great scientist. I do not understand why you are so obsessed with comu and metu. I enjoy your sarcastic comments but I would prefer if you can quit this chip on the shoulder attitude. Yes, I’m defending plagiarism, murder, and lots of other terrible things. Good luck with working out my identity from my strange clanic style 😉 (hint: if you think i have a “significant position” you’re sadly mistaken). No I haven’t finished building the plagiarismmeter yet, so for the moment can only distinguish between plagiarised results and copied background text. Some people think this is already sinful enough. In answer to your questions about 1 and 2: I guess the GRG editors are hoping that people will heed their warning and not submit more papers with copied text, or that the software will catch them if they do. In that case the editors can avoid having to do what they don’t want to do, which is to retract papers which their referees have already deemed publishworthy. But if it happens again in future they will of course have to take stronger measures, i.e. retract the offending papers. The idea of giving people a warning before taking stronger measures against them seems quite foreign to you… Ideally it should work as a deterrent. No, it’s just natural to respect people who’ve earned it. Come on, any competent researcher (lonely or not) should be able to outcompete these clowns on merit, and that won’t be made any more difficult by the clowns’ copying of background texts. So if the clowns are winning it means the system is not based on merit (i.e. rewarding quality ahead of quantity of junk) — that’s where the real problem lies. Why are you so much obsessed about “plagiarism rings” and so little concerned about the merit issue? It seems you wouldn’t mind the system rewarding lousy researchers as long as they hadn’t plagiarised anything..
and foreground are, what your position is ? It should not be needed to hide yourself. (except a few ones) is funny. Sabanci (lots of its faculties are METU graduates). You said you studied abroad. or who knows its name ? (in MIT, Stanford, Berkeley, Yale, Oxford, Cambridge, …..
You can easily meet people in scienfitic, research, high skilled company, etc communities all around the world who know some about METU. METU (which is 50+ year old) is the #1 Turkish university in being known globally. follow it far behind in this regard. Nationwide University Entrance Examination (UEE). This is the primary way to start to study in a Turkish university. Rank in that exam is the main criteria. have ranks between 1 to 1000, or 0.1 to 1%. Last year 1.500.000+ students took that exam. Preferrence by the top level students shows its relativistically correspondence to USA’s top level universities. Bosphorus’ student spectrum is similar to this. preferred to study in any dept. of Cukurova ? Turkish juristocracy which has deep conjunctions with others. Lots of my human rights have been violated. Don’t make your readers wonder who is behind this defence. and announced as an unacceptable thing. “murder, and lots of other terrible things”. otherwise it will be difficult to protect you next time. it is based on partizanship. My main issue is the merits and lackness of merits. But this is country-wide problem in Turkey noy limited to universities. “Plagiarism rings” are not just “plagiarism rings”. 1. Turkish system traditionally is trying to cover the 13 of 15 plagiarists’ cases. GRG is giving support to this coverage to be done easily. Turkish plagiarists’ are saying that “who are blaming us as plagiarists are the enemies of Turkey, they’re nothing else. against who are blaming us”. These are clowns, but very dangerous ones. GRG’s support is preventing Turkey to get rid of these clowns. plagiarism tradition. But GRG’s support is a wall in front of this. What happens if nothing happens to this 15 plagiarists ? It will be very difficult to catch them on job again. They will try to be more careful. (80.000+ usd) ytl per month. Such clown academicians close all the gates to qualified academicians, and open all the gates to their partizan clowns. especially developing countries as explained in (1). I don’t know why, but you are chainging the route of the discussion. This is passively or indirectly doing something. Do not hide yourself, who you are, where did you study, where you are now. by some since it’s top level and very different than others as in the example of its behaviour in case of arXiv scandal. closing of METU for 1 year in 70’s. It seems that you have that kind of allergy. What you said about METU is not true. So they always had and will have positions in top level institutions and companies all over the world. nor koc (which is 10+year old ; lots of its faculties are METU graduates), nor others. Nothing has changed. And there is no sign of that it may change in the near future. The problem here is arXiv plagiarism scandal and Turkish plagiarism and the tradition behind it. You are tactically changing the route to the wrong way. I didn’t say anything that I wanted to get into metu or comu. and these mafias have violated lots of my human rights for 7 years. Moreover I could not make my voice to be heard in Turkey during these 7 years due to country-wide effectiveness of these mafias. First of all, I am sympathetic to your situation and wish you and everyone else fighting against academic corruption wherever it is best of luck. The main message from what you have been saying seems to be this: there are mafia-style groups operating in Turkish academia for their own profit (financially and status-wise) without contributing much (anything?) of actual worth to their fields. They thwart the careers of competent honest researchers by “rigging the game” in various ways. Now they have been caught out for large-scale copying of others’ background texts in their papers. (They were too careless and lazy to change the words a bit to avoid this situation, even though it would have been easy.) Understandably, the honest Turksh academics want to seize on this as an opportunity to hit back against the mafia and loosen its grip. And they are disappointed with the GRG response, because if GRG had gone further and retracted the papers (like the other journals did) it would have given the mafia opponents even stronger ammunition than they already have. Well, I can sympathise with that. However, it is wrong to expect GRG to become a player in the Turkish situation, and taylor its response so that it maximally benefits the good guys in that struggle. Journals, like newspapers, should remain detached from such things and do what is right in their independent judgement (for obvious reasons). That is what the GRG editors have done in this situation. I happen to think they made a reasonable, or at least defensible, judgement (although not the one I would have made); others disagree. In any case, in the long run the only way the mafia situation can really get fixed is if an academic culture is established were rewards are based first and foremost on merit. Let’s imagine you get what you want out of the current situation: this mafia gets smashed and its members are expelled from Turkish academia. What next? In the absence of a merit-based reward system, other characters will emerge whose talents for scheming and manipulation are inversely correlated with their competence as researchers; they will band together and take the place of the previous mafia. The names and faces change but the situation stays the same. So if you are really going to change anything, the main focus has to be on the academic culture, changing it to one where rewards are based on merit. For this, it is infinitely more important to expose the lousy quality of the mafia members academic output than to expose instances where they were too lazy to even change the words in the background texts they copied. Amused: I am perplexed by your insistence that only the results matter for a paper, not the language. How results are presented are crucial to how well other people can understand and use new results. As an extreme case, are all review articles worthless in your world? Why? Withdrawal of the paper is not to punish the plagiarists — it’s a return to the status quo ante. It is also vital for the credibility of the journals. Journals are a type of database of who has contributed what. Having these databases filled with false information is little better than not having them at all.